The first weeks of training at the FBI Academy can be both exciting and nerve-wracking. For many new trainees, the arrival at Quantico is a significant step in a lifelong journey to becoming a special agent. The training will be taxing on many levels—academically, physically, and psychologically—and success is far from guaranteed. New agents attend the FBI’s Onboarding New Employees (ONE) program before beginning their first week of training. The program introduces employees to the FBI’s history, culture, and structure. Like their predecessors, this class of new agents comes with a variety of career experiences—some not as traditional as you might expect. The majority of students have military, law enforcement, or criminal justice backgrounds, but there are also former teachers, scientists, IT professionals, entrepreneurs, and more. In today’s global and digitally driven age, diversity on many levels is a necessity for the FBI. Special Agent David Lewis recalls arriving at the FBI Academy and feeling uncertain about the months ahead. Special Agent John Woodill remembers feeling excited the moment he drove through the front gate at Quantico. In today’s global and digitally driven age, diversity on many levels is a necessity for the FBI, and this group was carefully chosen for the wide-ranging set of skills and perspectives they bring to the table. Many of the trainees are here after deciding to switch careers mid-stream, feeling the need to serve their country or tackle a new challenge. For others, like Liz, being an agent is the culmination of a lifelong dream. A St. Louis native, Liz worked her way through years of higher education and a career practicing civil law before applying to the FBI. Now she’s finally at Quantico, suitcase in hand, ready to tackle the journey ahead. 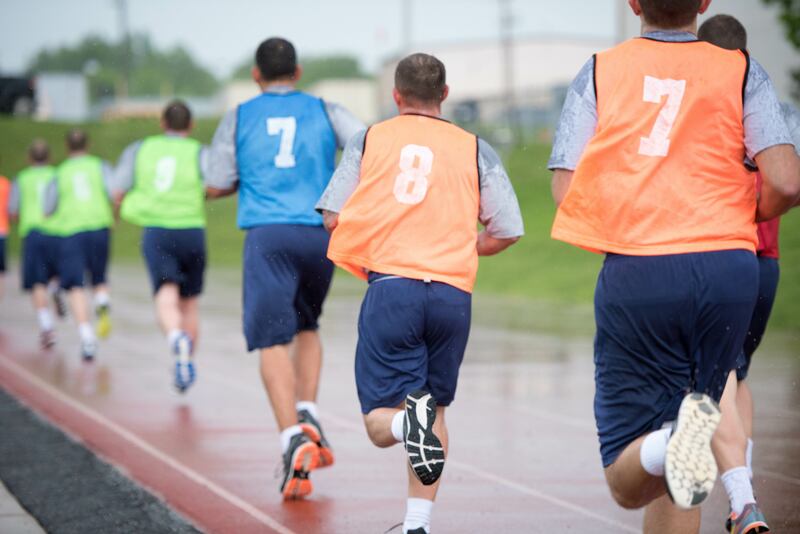 New agent trainees must take the physical fitness test, commonly known as the PFT, soon after they arrive at the FBI Academy. It’s a demanding circuit that includes sit-ups, a 300-meter sprint, push-ups, and a one-and-a-half-mile run. It wasn’t long after arriving at the Academy that Liz and her fellow trainees received their first of many challenges: the physical fitness test, commonly known as the PFT. It’s a demanding circuit that includes sit-ups, a 300-meter sprint, push-ups, and a one-and-a-half-mile run. Passing the test is essential—not only to completing the rest of the Basic Field Training Course but to ensure new agents can effectively carry out their duties. It’s a theme that will be repeated often in the coming weeks. U.S. and international law enforcement officials announced the takedown of the Darknet marketplace AlphaBay, where criminals anonymously bought and sold drugs, weapons, and other illicit goods.